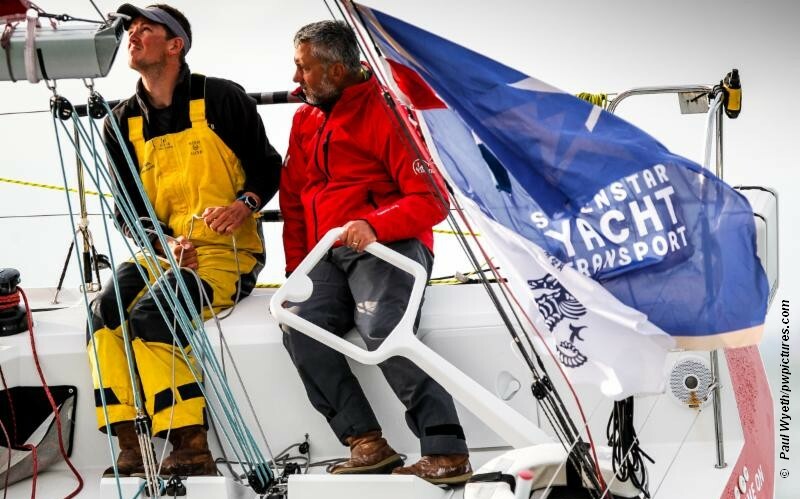 While mixed two handed offshore racing is set to be a new Olympic discipline for Paris 2024, the Royal Ocean Racing Club continues to see a surge in doublehanded participation in its events. Last month entries opened for the club’s pinnacle event, the Rolex Fastnet Race and the maximum limit of 340 slots sold out in just four minutes 37 seconds. Of these, 68 are currently entered in the IRC Two Handed class, a significant step-up from the 57 that competed in 2017. Open to all (not just RORC members), the RORC’s first race of the domestic season makes coaching uniquely possible as the racing rules of sailing covering ‘outside assistance’ are relaxed for it. This permits coaches not only to offer advice from their RIBs, but to come on board or for crews to step off their boat and on to a coach RIB to check trim, sail shape, etc during races. While the majority of the RORC’s two handed racing is in its extensive offshore program, it also organises the IRC Double Handed National Championship, the first part of which will take place this year on the Solent over 14-15 September. As usual, the Club’s Race Team will set a variety of courses around the Solent and will lay on practice starts and the opportunity for much mark rounding practice and speed testing.